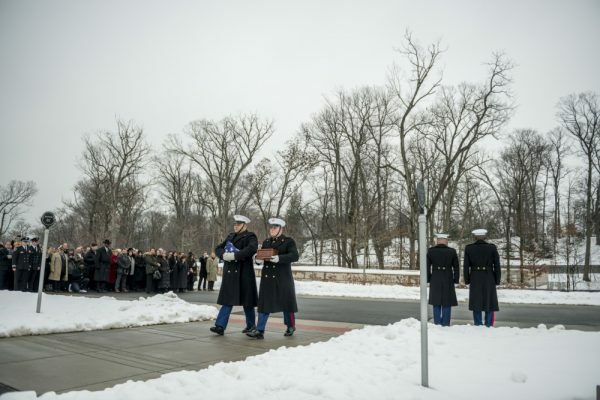 R. Lee Ermey, who turned his experience as a Marine Corps drill instructor into a notable role in the Academy Award-nominated 1987 film “Full Metal Jacket,” was buried Friday at Arlington National Cemetery with full military honors. The website Military.com said nearly 100 friends, family and fans gathered to pay their respects to Ermey, 74, who died in April due to complications from pneumonia. 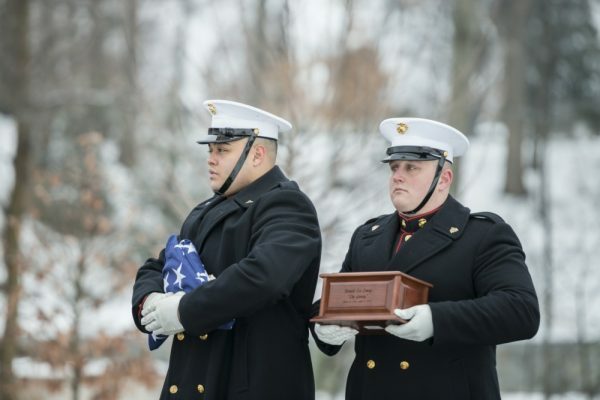 The former Marine and Vietnam veteran was accorded a casket team, firing party, bugler and folding and presentation of the American flag, according to the cemetery website. The cemetery said on Twitter that he was buried in Section 82. 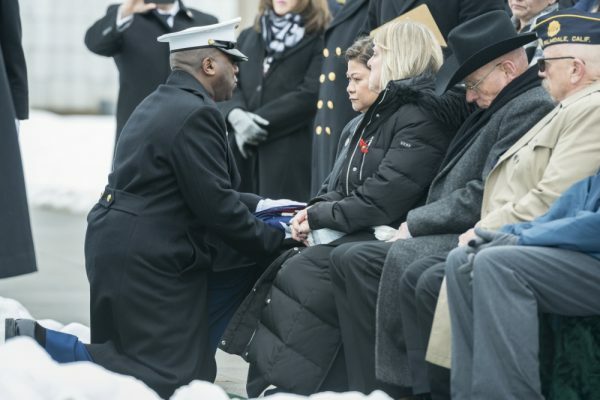 The Kansas native served 11 years in the Marines, including a tour as a drill instructor, 14 months in Vietnam and then on Okinawa, where he was promoted to staff sergeant prior to being medically discharged in 1972 for injuries he received during his service. Ermey racked up more than 60 film and television credits, according to The Associated Press. His first was as a helicopter pilot in “Apocalypse Now,” Francis Ford Coppola’s 1979 Vietnam War epic. He also appeared in “Mississippi Burning,” “Dead Man Walking,” “Toy Story”, “Se7en” and “The Texas Chainsaw Massacre” 2003 remake. He also hosted “Mail Call,” answering questions from viewers about the military on the History Channel from 2002 to 2009. In retirement, Ermey received an honorary promotion to gunnery sergeant from then-Marine Corps Commandant James Jones in 2002 — the only Marine to hold that honor, according to a GoFundMe fundraising webpage linked to Ermey’s family, friends and supporters. Ermey in 2006 told Stars and Stripes he considered himself a Marine first. “My main objective is to try to get people to realize if you have dreams, there’s nothing you can’t accomplish,” he said. A seven-mile stretch of road in Palmdale, Calif., the town Ermey called home for 24 years, was renamed R. Lee Ermey Avenue in November. 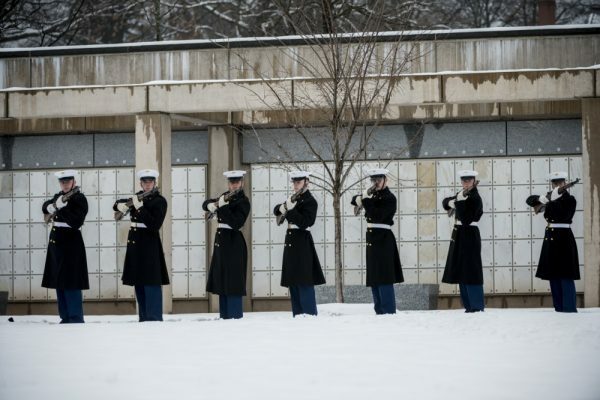 Plans called for placing grooves on the road surface that play the “The Marines’ Hymn” as tires pass over them.